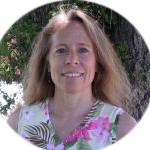 Lynn has been a massage therapy instructor at various colleges along the front range of Colorado, including the Boulder College of Massage Therapy since 2002; she has taught a wide range of subjects including Medical Massage and Shiatsu. She brings a broad perspective to the therapeutic arts having graduated from the Boulder College of Massage Therapy in 1998 and subsequently studied with practitioners of indigenous medicines of Celtic and Russian healing traditions. She has a BA in Psychology from the University of Colorado. Lynn is a devoted mentor to all of her students from the time they enter the classroom through their professional life as a massage therapist (and sometimes beyond). The power of touch supports and nurtures each individual’s innate healing energy, and guiding and inspiring massage therapy students in this art is one of Lynn’s passions. Lynn has brought her massage into hospitals and chiropractic offices over the years and maintains her own private practice in Brighton and Lafayette, Colorado.